agencies. No outside guests allowed. the Institute covers lodging, training, and most meals. You will have a choice between two tickets: Gold Country Institute Commuter or Gold Country Institute Overnighter. Overnight tickets are $45 and are good for one to four days of training, depending on your course selections. A $25 Commuter ticket includes lunch and also can include dinner if you reserve it. - Attendees are responsible to download or print their training materials and bring them to the Institute. afternoon; feel free to bring your own as well. - A mug with lid if you are a coffee or tea drinker during class. Overnight participants will be staying in the former military dorms . Your linen and one towel will be provided and parking is available near the dorm and around the classroom building. It is a pleasant 10-minute stroll to walk between the classrooms and the dorms. Lodging is available Thursday, June 4 through Saturday, June 6. Each room has two single beds, and each two-room unit shares a bathroom with a shower. Limited numbers of ADA rooms are available on a first-come, first-served basis. If you have special lodging needs you will have the opportunity to list that in the second phase of the registration process. Below you will find the schedule of each day’s classes. If you are interested in finding out more about a course and its requirements, click on the Course Catalog on the right. If you need help picking out courses, you are welcome to schedule an appointment with your local "career counselor" to decide which track you should take based on your experience and interests. 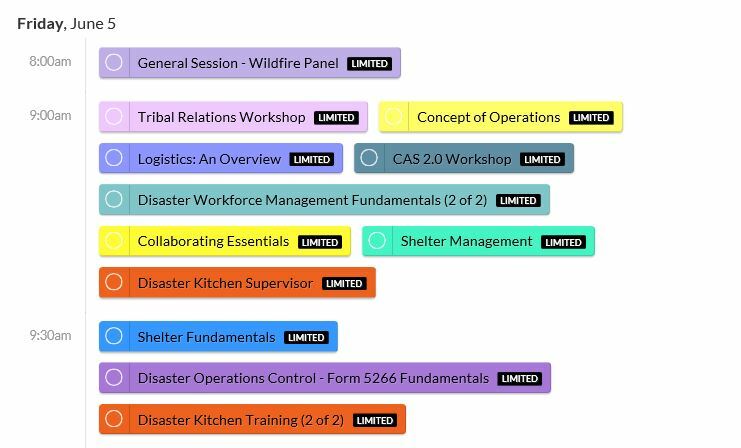 Below you will find the courses offered each day at the Fired Up! Institute. 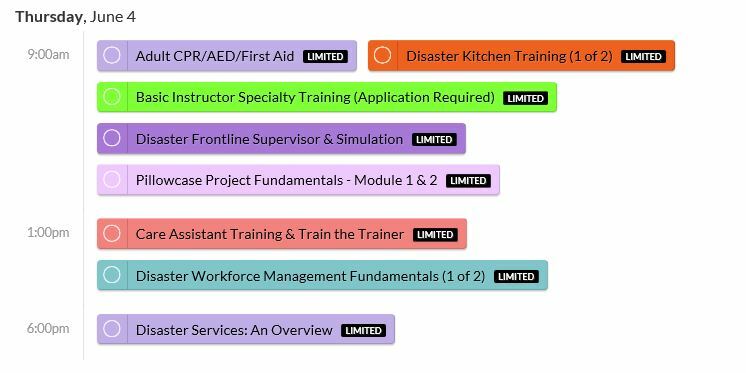 If you are interested in finding out more about a course, its requirements, and/or its prerequisites , click on the Course Catalog on the right and explore our upcoming courses. We also encourage you to explore the suggested tracks. If you've had a course in the track, you can substitute another course into that spot.